Walgreens is offering a great photo deal. 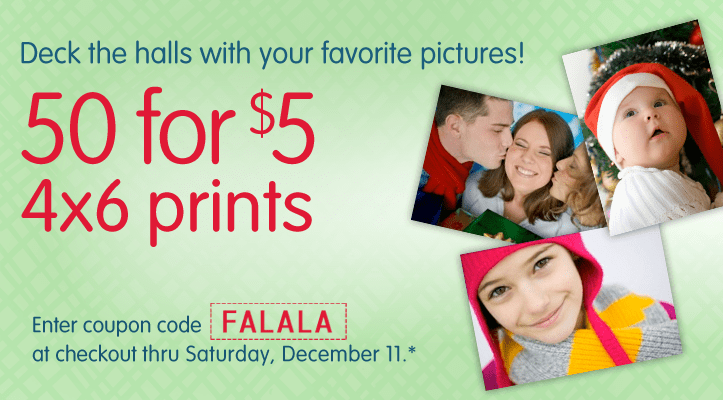 Get 50 prints for $5.00, use coupon code FALALA. Offer ends Saturday, December 11, 2010.